Despite the regular use of Adobe Acrobat, “Distiller” may sound like a strange tool for some designers. What is it and what does it do exactly? Acrobat Distiller offers a unique function that no other Adobe programs have: conversion of PostScript documents to PDFs. Often times, clients ask our design studio here in Boston to share an imposed booklet PDF for printing. 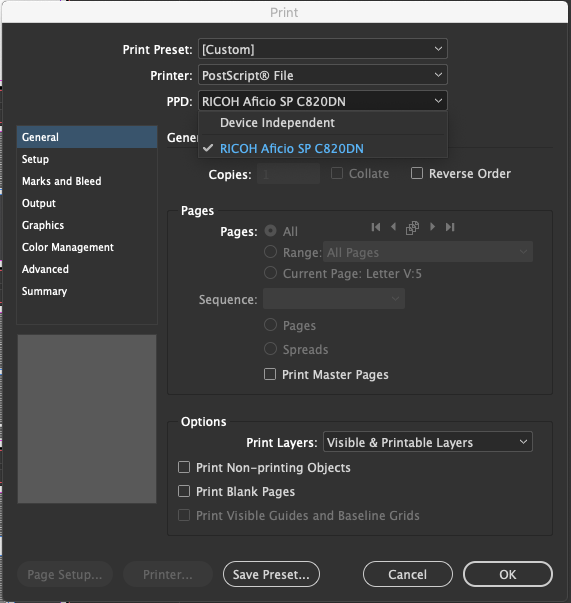 Many of us might be familiar with printing different booklet settings in InDesign, but not saving an imposed PDF for printing. Luckily, Acrobat Distiller is here for this very special demand. “Imposition” refers to the correct arrangement of pages for printing and folding. Why do we need an imposed PDF document? When you send a document to press, some print vendors will ask for “facing pages” or “spreads” that show exactly what pages are printed together for the booklet. This is what is meant by “page imposition”. Having an imposed PDF ready can save both you and the printer a lot of time and the hassle of having to find your way around the page arrangement problem. As much as Acrobat Distiller is helpful, we do recommend that you ALSO send your vendor a pdf that shows the separate page/page order as a reference. 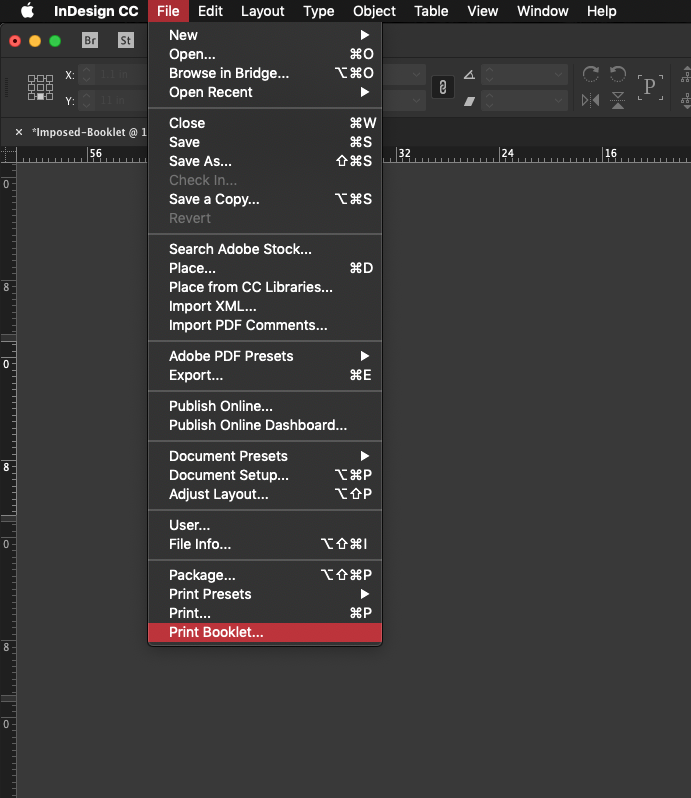 Here is a quick and simple step-by-step tutorial we would like to show you how to to use Acrobat Distiller to create a custom imposed PDF that will fit your special printing need. 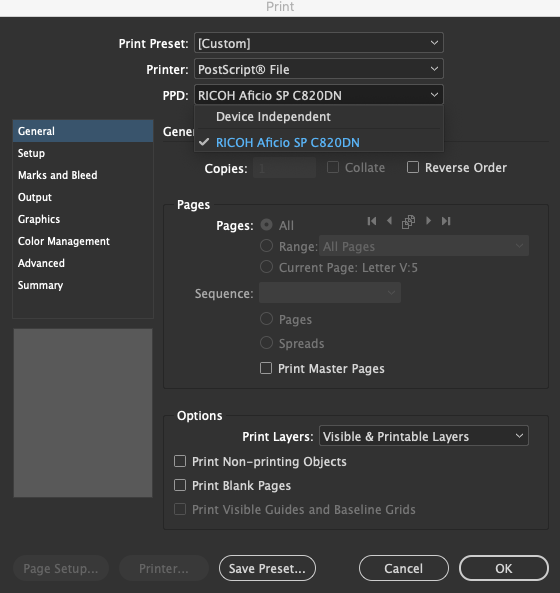 When we approached this step, the Print Settings dialogue did not let us choose the appropriate paper size to display the full spread, plus bleeds and cropmarks. We then quickly figure out a simple “hack” around this problem, which is to select your physical printer under “PPD” instead of leaving the default “Device Independent” setting. 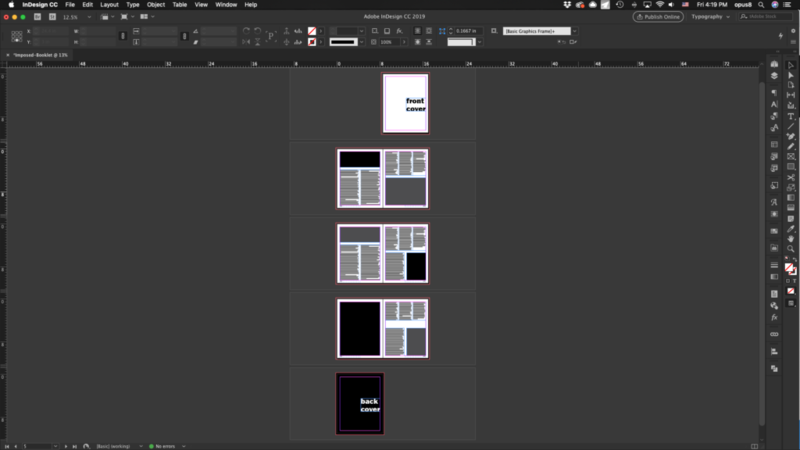 This method tricks InDesign into letting you select the right paper size to contain your spreads. Do not worry, this will not trigger the printer to print the document. 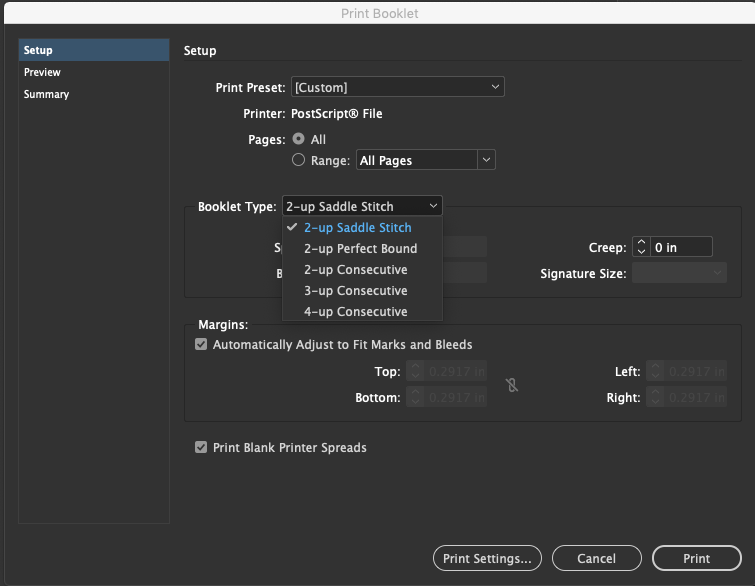 Step 8: Now we are back to the Print Booklet window, select your Booklet Type and click Preview to check your document. Step 14: Tada! The imposed PDF is ready for printing! We hope you find this tutorial helpful. As always, have fun creating!